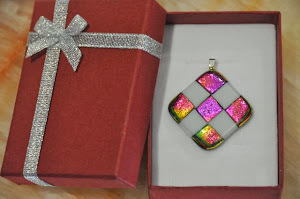 Scrap dichroic 1.5cm square with a clear top. Offset squares did not make a nice circle. Probably a bit too big. 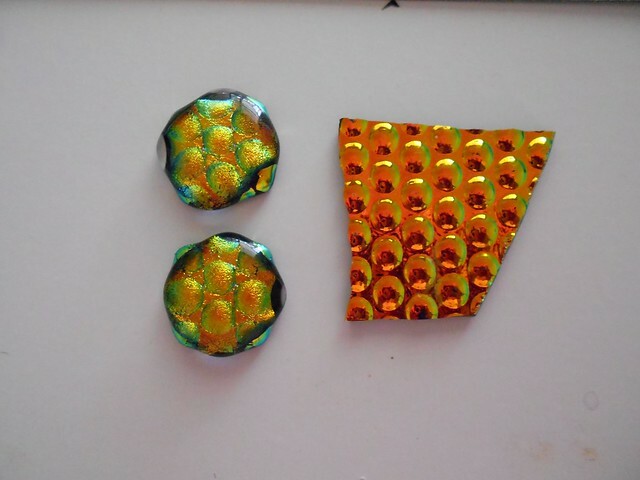 Scrap dichroic. 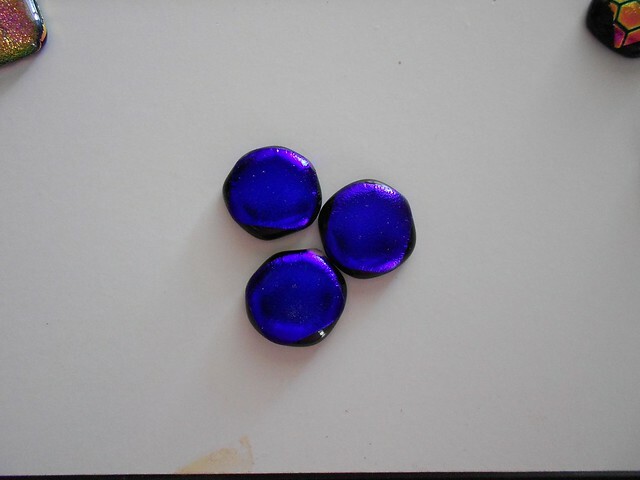 1.5cm square off set on a black base square. Maybe we got this upside down. 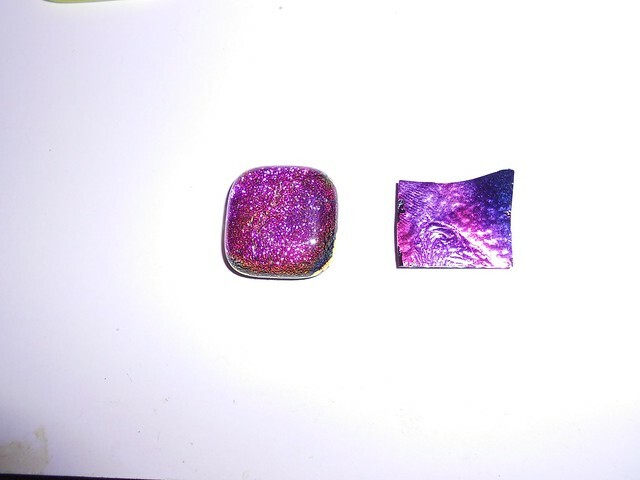 The foil seems to be on top. 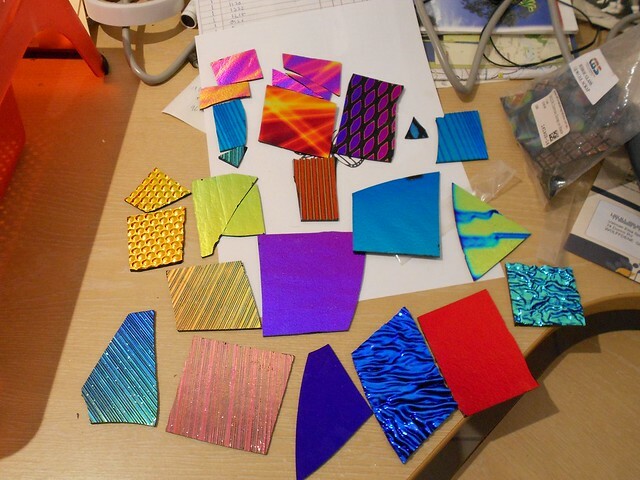 dichroic scraps cut in a 1.5 cm square layered on a black base. 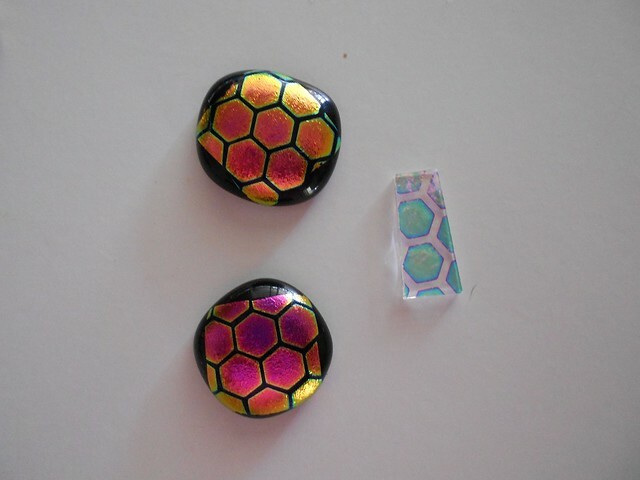 Maybe we got the dichroic upside down. The large squares off set did not make a circle. 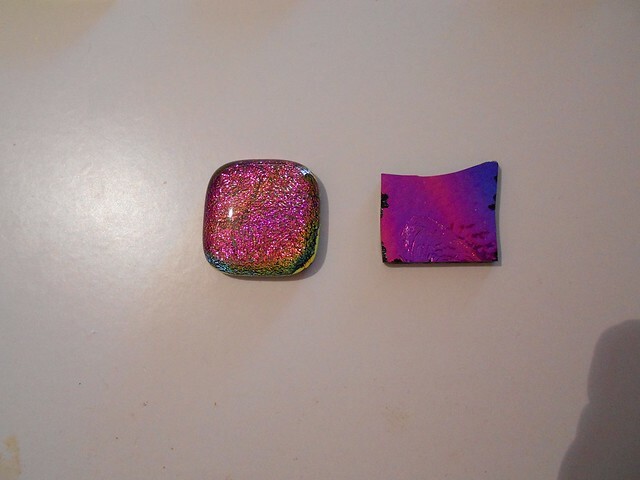 scrap dichroic in 1.5cm square with clear top. Layered squarely. Perhaps the top could overlap a bit more so the line around the edge does not happen.